About 90 years ago, the town of Blyth, and the country around it for several miles, belonged to William Mellish Esq., who cut "a river four miles long and ten yards wide, as a drainage to a large extent of low land in the centre of his estate, capable of being made as fine a meadow as any in England". He also made, at his own expense, ten miles of road, and built several farm-houses and above thirty cottages, all in the most substantial manner, of brick and tile. Besides beautifying and enlarging the hall, he erected an extensive pile of stabling, and ornamented his estate with upwards of 200 acres of plantations, which are now in a thriving state. 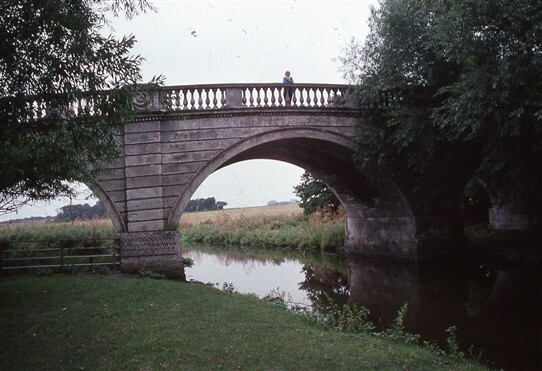 He also built on the high road, in front of the hall, a superb bridge of Roche Abbey stone, for the convenience of crossing the extensive stretch of water, which is formed on a most magnificent scale, by damming up the River Ryton and a small brook which flows into it a little below the town. resting on the retaining approach walls. These walls are coped and have wrought iron railings with rusticated round terminal piers. 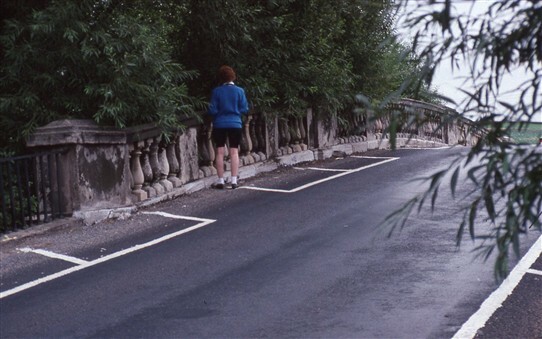 The Highways Committee reported they had accepted the tender of Mr C Baines of Newark for the repair of Blyth Bridge at a cost of £81- 7s and 6d. 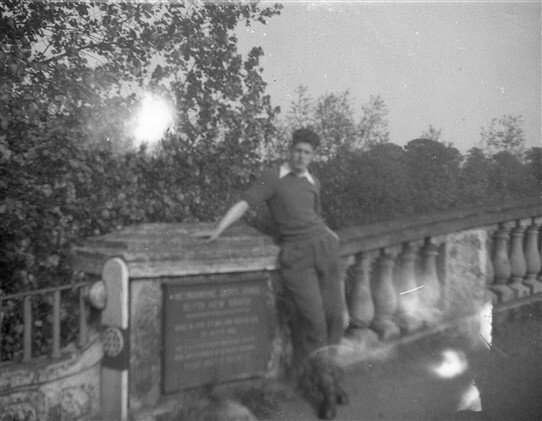 Despite all this, nothing is mentioned about the plaque on the bridge so the rest of the words remain a mystery, additionally so does the fate of the plaque as on our 1989 photos it is no longer there. 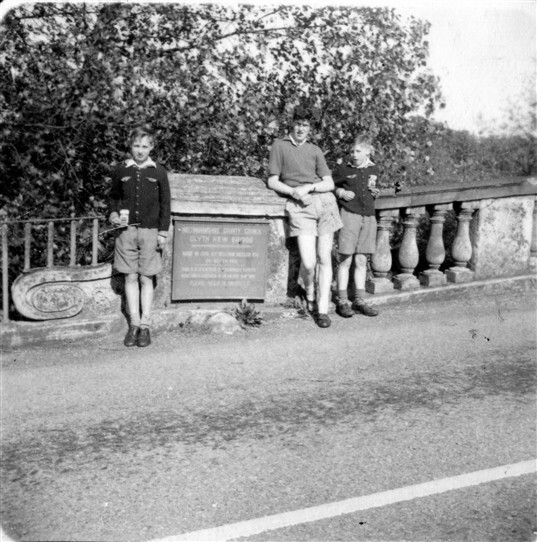 All our photos were taken when out cycling, and this was a popular area for cyclists in days gone by, so do any other cyclist have photos showing the plaque on Blyth Bridge? This page was added by Pauline Marples on 01/09/2015.